For instance, in the beginning of the premiere, Alexa appears the same no matter (same view, with logo in the same place) no matter which orientation you view it from. Hat McCullough is among the rednecks protesting the rise in automated jobs. Josh Gad, Elder Arnold Cunningham in "The Book Of Mormon" and Olaf in Frozen, was a consultant for this episode. I did not see that coming. Season 21 "White People renovating houses"
Despite this latest episode of South Park only being a cartoon and all but I notice the amazon echos and google home devices don't have powered cords attach to them. They wouldn't be able to function right without power, but since it's a South Park cartoon it's all cool lol! 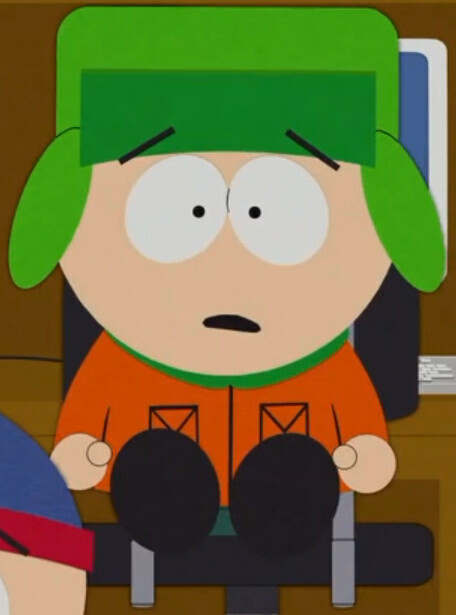 Not sure if this counts but Heidi used a cordless phone to call Cartman in one scene. Who does that these days? I don't have any of these, but I take it they can't work on battery power? Unless they have their own personal battery packs, it will function properly. Holiday Special; Randy's first scene in tearing down a Columbus statue. They misspelled the city in Colorado Randy was supposed to be in. It's Cañon City, not Canyon City. Pronounced the same, and it means the same thing, but the Spanish flavor makes it unique. The name Cañon City refers to Royal Gorge which is just upstream on the Arkansas River. It's a short canyon, but it's really, really deep. In the beginning of the episode, Put It Down, David Rodriguez was present in the audience but was white for some reason. Birthday discrepancy: Clyde's birthday is April 10, as shown in "You Have 0 Friends," yet he's having a birthday in November in "Moss Piglets." At the beginning of "Doubling Down" you can see that Heidi now has Cartman's poodle, Precious, as her own pet. He must have given it to her sometime last year. Or maybe Heidi got her own "Precious" toy dog at a store. You forgot that Cartman destroyed most of his stuffed animals in 1%. I don't think a cutoff date has ever been confirmed, but yeah, Kevin McCormick was there in the preview as well. Here's a fun note - Damien continues to appear in the assembly scenes (he's been there for five or so years) as does Terrance Mephesto.